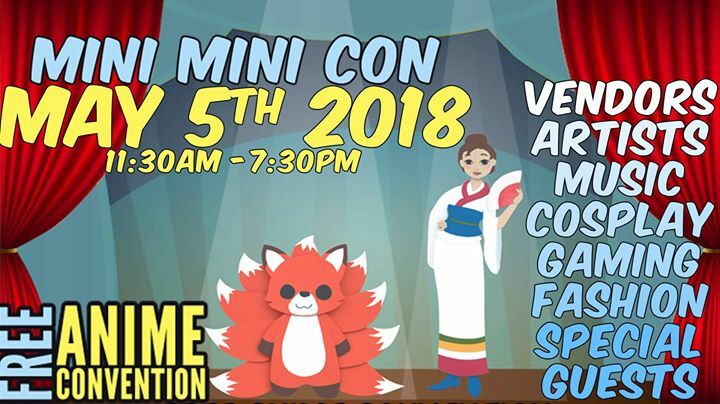 Mini-Mini Con is a free convention hosted by San Japan and Nine-Tails at Wonderland of the Americas Mall. There are no tickets required to attend this FREE event. Here, you will get a sample of what big fan conventions can be like. We will have a variety of activities going on: artists and dealers, karaoke, cosplay, guests, fan panels, gaming of all kind, fashion, and music events. 2018 will be our fifth year putting on this event. We had over 4000+ people attend in 2017 and we expect even more to attend as word gets around the region. This is a Family Friendly event which we welcome All Ages to attend. This includes vendor signup, artist spaces, panel information, cosplay rules and more. Please refer to the website prior to posting questions.